This was my favorite Bullhorn colorway. I don't remember who got it but I wish I had kept it. 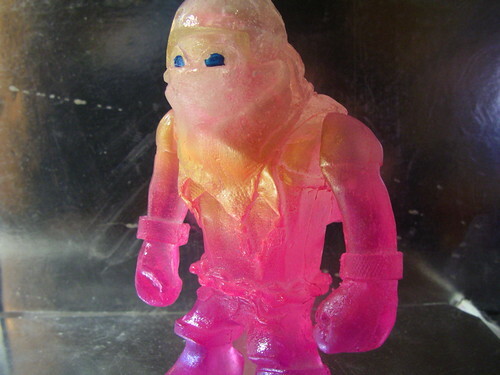 Clear with pink and gold spray and embedded skull.